The International Award for Young People India organized a two-day Award Leader training workshop at the Award Training Centre, New Delhi for 14 participants from various schools including Khaitan Public School, Sahibabad; St. Mary's School, Dwarka; Lawrence School, Lovedale; Mata Jaswant Kaur Memorial School, Badal and institutions like Raphael Ryder Cheshire, Dehradun. In order to help the interns working at IAYP India gain a deep insight of the programme, some of the interns also participated in the training workshop. Rather than calling it a learning workshop, Programme Manager Bivujit Mukhoty preferred calling it an experience sharing workshop. Over the span of two days, the participants were given in-depth knowledge regarding the four domains of the programme i.e. Skills, Service, Physical Recreation and Adventurous Journey and also the Residential Project for the Gold Award Programme. Other than that the participants were also introduced to the technical aspect of the programme, which included Risk Management and Branding. 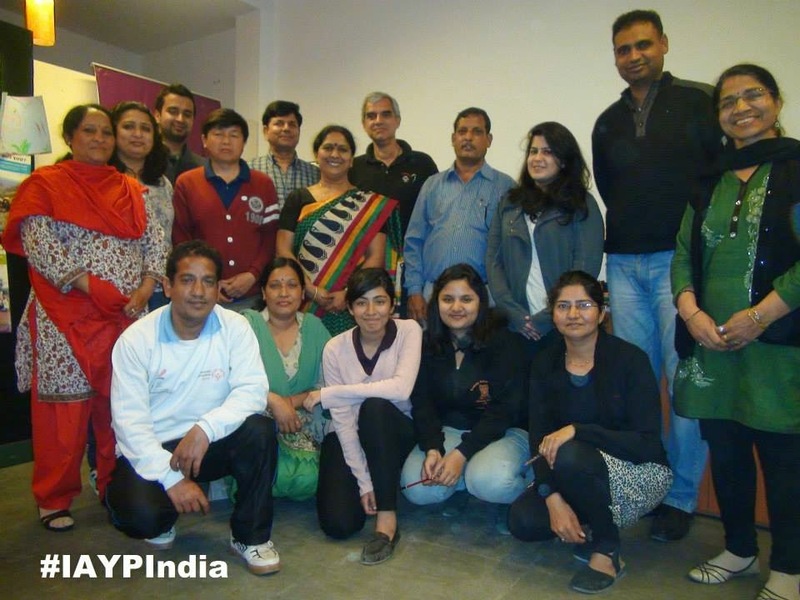 The Interns at IAYP India were happy to share their experiences. Pallavi Gill, Gold Award holder said, "The workshop was a mixture of fun and knowledge. Through the workshop we interacted with various people of various ages and occupations. Together we completed the workshop with smiles, new bonds of friendship and a step towards spreading the International Award for Young People across India." While for Arantxa Talukdar, Bronze Award holder it was a workshop to consolidate her knowledge of IAYP, "The two-day workshop helped me regain the lost knowledge and gain another perspective of IAYP. The workshop has been enriching, encouraging and a learning experience. I am grateful to have been a participant as it made a lot of difference in the way I used to see IAYP before and how I see it now." Another IAYP intern Tarini Puri (current Gold Award participant) understood how the programme helps students to achieve an identity: "Since childhood I've had this fear of public speaking. But when I had to do the same at the workshop, I had no choice but to gather up some courage and speak in front of other participants. I now believe, with more and more of these opportunities, I'm pretty sure I'll get over it."